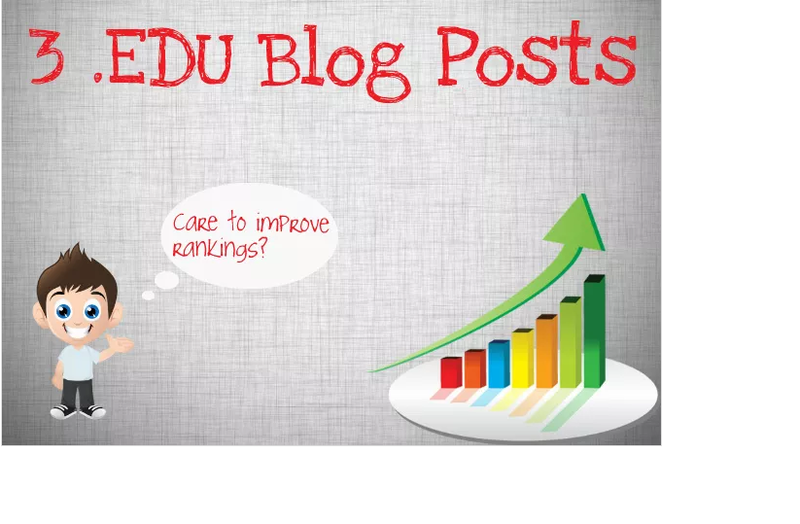 High quality blog posts on 3 different .edu domains with high PR and huge authority. These are NOT heavily spammed wiki types but REAL .edu US based domains. I will create an article and will manually spin 2 more unique versions out it, then I will post them on the blogs. These are extremely strong backlinks and can make a great contribution to your rankings.